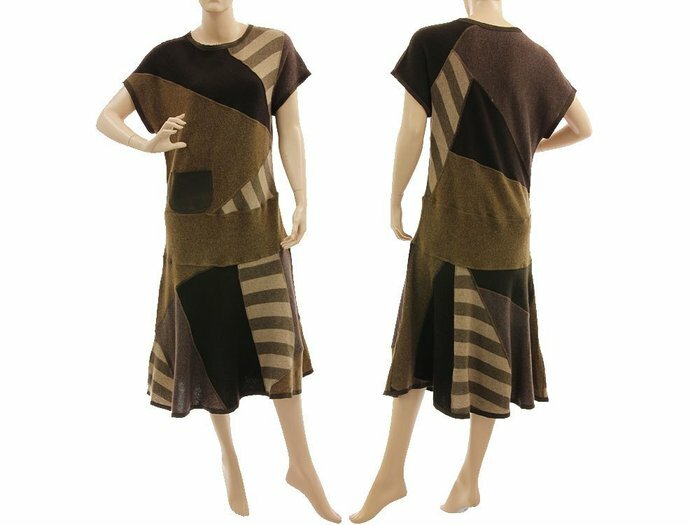 A beautiful, sophisticated soft knit dress. 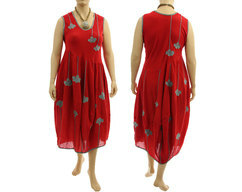 The dress has a has a lower waist and a beautiful falling, bell-shaped skirt part. 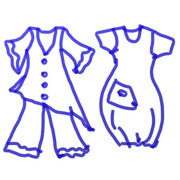 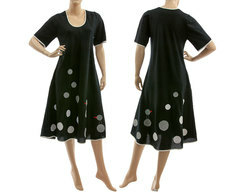 Short sleeves, round neck, uneven hemline, one pocket at the front.